Must DSM Programs Increase Rates? As competition in the electric industry increases, so does utility concern about the effect of demand-side management (DSM) programs on electricity prices. Because DSM programs often raise prices, several utilities have recently reduced the scope of their DSM programs or focused these programs more on customer service and less on improving energy efficiency (see sidebar). Whether all utilities should follow suit is, however, open to question. We contend that DSM programs do not always exert upward pressure on prices (em just sometimes. The Pennsylvania Public Utility Commission (PUC) has reaffirmed earlier rulings establishing performance-based rate mechanisms for Columbia Gas of Pennsylvania, Inc., citing its authority to implement modified versions of a capacity-release sharing mechanism and an incentive mechanism for purchased gas costs. All versions of the "revolution" in the electric power industry seem to turn on the prospect of competition in generation. The Maine Public Utilities Commission (PUC) has terminated an ongoing rulemaking on stranded-cost recovery by electric utilities in the state. In closing the docket, the PUC cited proposed rules recently issued by the Federal Energy Regulatory Commission (FERC) as evidence of FERC jurisdiction in the matter. Summer's coming. Time for a breather, right? I only wish it were so. Since the Federal Energy Regulatory Commission (FERC) issued its electric "giga-NOPR" on transmission access, stranded investment, and Real-time Information Networks (RINs), the heat is on (em and rising. Congress is busy, too. It's working hard on telecommunications, nuclear waste, and privatization of the federal power marketing agencies, but the odds may be growing against repeal of PURPA (the Public Utility Regulatory Policies Act) or PUHCA (the Public Utility Holding Company Act. 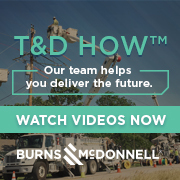 The Massachusetts Department of Public Utilities (DPU) has announced its policy for the recovery of Federal Energy Regulatory Commission (FERC) Order 636 pipeline transition charges by natural gas local distribution companies (LDCs). The Illinois Commerce Commission (ICC) has proposed rules to implement dialing parity for providers of toll telephone services in the state. Under the rules, local exchange carriers (LECs) must offer customers two carrier presubscription choices, one for interMSA (market service area) calls and another for nonlocal intraMSA calls. The ICC rejected a proposal to delay the move to presubscription until LECs are permitted to compete with interexchange long distance carriers (IXCs). The California PUC on April 26 issued interim rules that could allow local telephone competition in the Pacific Bell and GTE-California service areas as early as June. The rules would manage competition between local carriers (CLCs) and franchised local telcos. Under the rules, CLCs could offer individual service components (such as subscriber loops, line side ports, signaling links, signal transfer points, service control points, and dedicated channel network access connections) or choose to handle the entire phone call. The Illinois Supreme Court has overturned a ruling by state regulators denying recovery by natural gas local distribution companies (LDCs) of the carrying costs on the unamortized balance of their coal-tar cleanup costs. The Illinois Commerce Commission (ICC) had ruled that the utilities could recover the costs of statutorily mandated coal-tar cleanup expenses from ratepayers over a five-year amortization period.